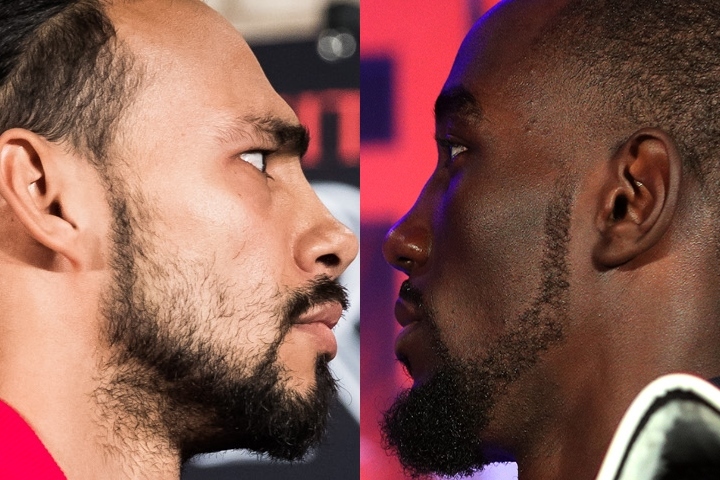 NEW YORK – Keith Thurman respects everything Terence Crawford has accomplished within the lightweight and junior welterweight divisions. To fight him, however, the unbeaten WBA/WBC welterweight champion claims Crawford must first become “relevant” within the 147-pound division. Crawford, the undisputed 140-pound champion, could move up to welterweight and perhaps secure a shot at WBO 147-pound champion Jeff Horn. When asked about potentially facing Crawford (32-0, 23 KOs), Thurman said he won’t consider it until Crawford accomplishes something as a welterweight. That, according to Thurman (28-0, 22 KOs, 1 NC), is what separates him and IBF welterweight champion Errol Spence Jr. (22-0, 19 KOs) from Crawford. The Omaha, Nebraska, native’s handlers and others would argue that cleaning out an entire division makes Crawford relevant, but Thurman seemingly disagrees. “You wanna talk about making him relevant,” Thurman said. “He does need to make himself relevant in this division. He’s a 140 undisputed champion. He can come up to this weight and fight pretty much anybody in the top 10. He deserves that for the most part, and I understand that. But we are so flooded with talent, he is gonna have to make himself relevant at 147 before he gets his hands on us, for the most part. He’s not simply just gonna be able to say some names to get the fights that he wants. He’s gonna have to walk into the division, put a hurtin’ on some dudes and make himself relevant. That’s how I truly feel. Lou DiBella, who has promoted several of Thurman’s fights, also warned that making meaningful fights for Crawford within the welterweight division could become difficult if Premier Boxing Champions fighters – most notably Thurman and Spence – are asked to sign with Crawford’s promoter, Top Rank Inc., to be able to fight him. Neither Thurman nor Spence has an exclusive contract with a promoter. i disagree the way a dude becomes relevant is by fighting the top guys. he shouldnt be anointed king [B][U]until he beats[/U][/B] those guys, doe.